Next door to the Tranquil Otter is a hidden gem that offers an extraordinary experience. 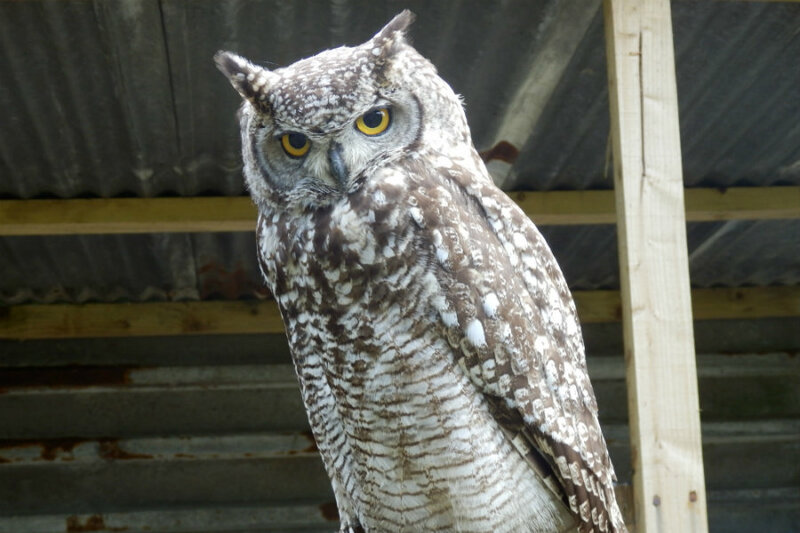 Over the bank holiday weekend, Darren, Jackie and Ron visited the Cumberland Bird of Prey centre in Thurstonfield. 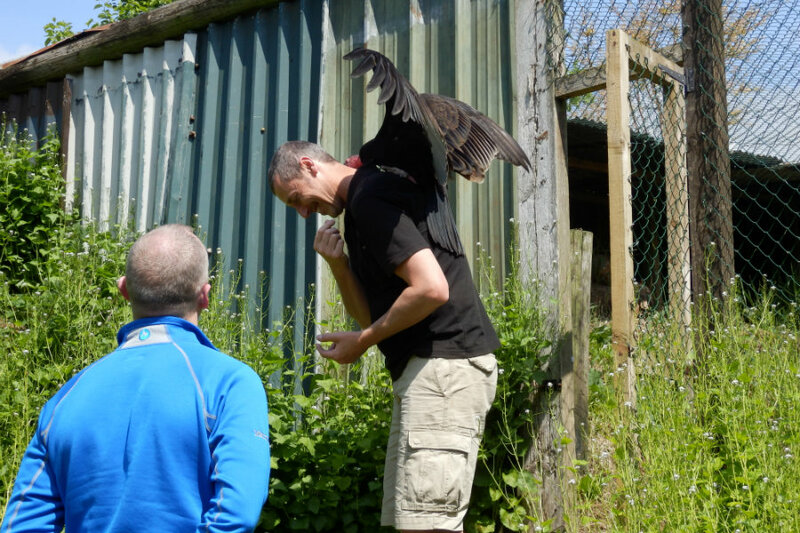 They were greeted by Gary, the founder of the centre who is an expert on everything to do with Birds of Prey. 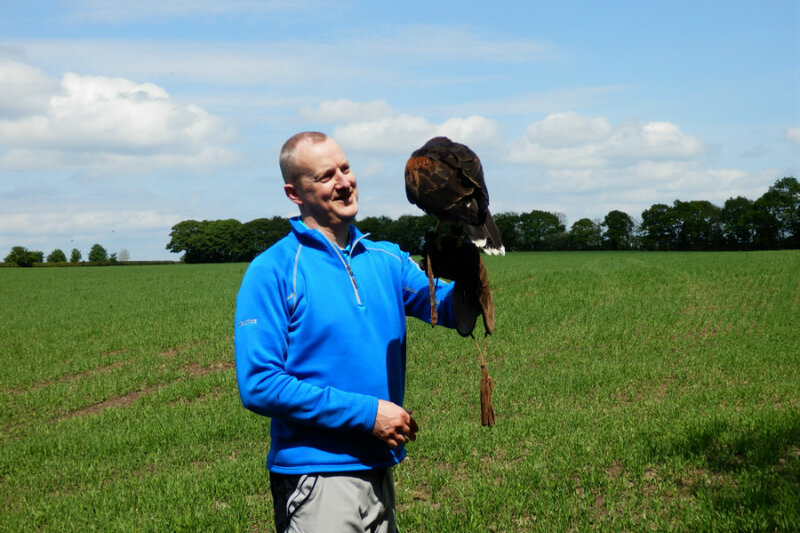 Gary became enthralled by Birds of Prey when he was ten, and has made them his life’s work ever since. Darren describes his experience. “We didn’t really know what to expect from the day. We’d read the information on the website and had thought we’d be part of a group taking part in the session, but we quickly learned that we had the place all to ourselves. 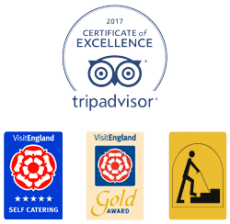 “When we arrived we received a cheery greeting from Gary, who invited us in and made us a cup of tea. We then sat on his patio in the glorious sunshine while Gary told us the story of the centre and how he fell in love with Falconry. Then he took us round and introduced us to all the amazing birds. We met Meg the Harris Hawk, Bungle the Bataleur Eagle, Golum the Vulture and loads of other beautiful birds. “The first thing that struck me was the amazing passion and knowledge price of cialis that Gary has for the birds. We were regaled with tales of Falconry from the age of Henry VII, and we learned the origin of dozens of everyday English phrases that are rooted in Falconry. For example, ‘pecking order’ comes from the way Vultures strip a carcass. First the smallest Vultures open up the dead animal and work their way in, then the larger birds come in to tackle the large areas – creating a pecking order. “The highlight was being able to fly the birds. I had the opportunity to work with Meg the Harris Hawk, Bungle the Eagle and several beautiful owls. We were very lucky with the weather – the sun shone all day long. “At the end of the session, we put all the birds back into their ‘rooms’ and joined Gary for another cup of tea on the patio. Golum, a very affectionate bald Vulture joined us for tea. We ended the day talking about our favourite moments while Golum sat on Gary’s head. It seemed like the most natural thing in the world.